The concept of free-range parenting hit the media in 2008 when Lenore Skenanzy, a New York columnist, wrote an article titled, “Why I Let My 9-Year-Old Ride the Subway Alone.” The story gained national media attention as people weighed in on her decision. Skenanzy is clear that she made sure her son was able to read the subway map and she gave him money in the event he needed it. But, critics still argued her decision bordered on child neglect. Skenanzy started a movement to encourage parents to stop being helicopter parents. She warned about the dangers of overprotecting children and she encouraged other parents to raise independent kids who can make healthy choices on their own. Over the years, many other parents have made the news for their free-range parenting approach. In a few instances, child protective services have become involved in families where free-range parenting seems to be negligent. At what age should a child be allowed to stay home alone? When is a child old enough to stay alone overnight? What’s the age that a child should be allowed to walk down the street alone? Can a child play at the park without an adult in attendance? At what age should an older sibling be able to supervise younger children? While one family may allow a 7-year-old to walk to the park alone, another family may still hire a babysitter for a 12-year-old. A few states have specific laws that govern how old children must be to be left home alone or to be allowed to walk to school, the vast majority of states don’t have such specific laws. Instead, it’s left up for parents to decide on a case-by-case basis. Parents allow for plenty of unscheduled activities. Rather than rushing from violin lessons to soccer practice every day, free-range parents encourage unstructured play. For example, instead of having an adult enforce lots of rules of a baseball game, free-range kids are encouraged to play a pick-up game with their pals in the neighborhood. Playing in nature is important. Free-range kids are encouraged to play outside, rather than use electronics. 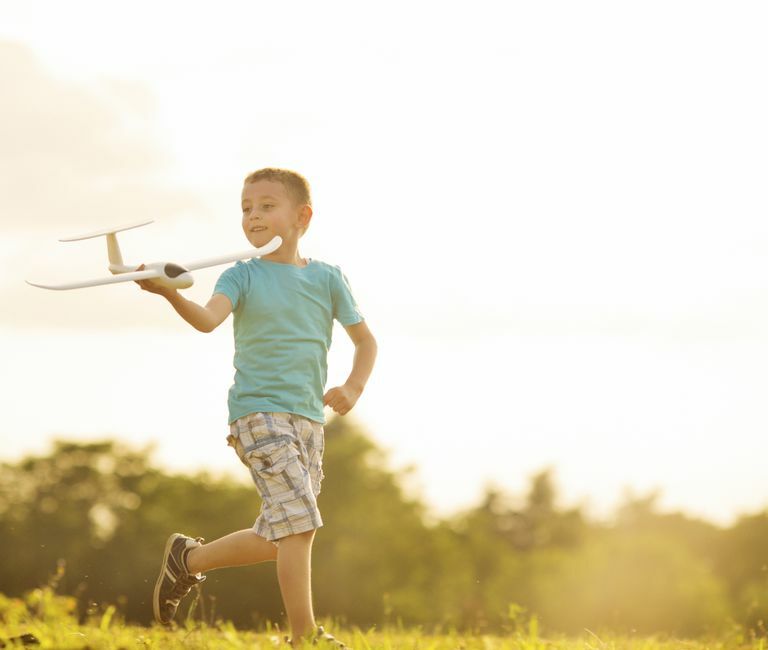 Free-range parents want their kids to be able to amuse themselves without technology — whether it’s playing in the garden or building a fort. Kids earn independence. Free-range parents allow kids to earn independence and they’re granted increased freedom and responsibility gradually. The focus is on showing kids that they are capable of trying new things and accomplishing hard tasks on their own. Free-range parents don’t parent out of fear. While, many of them enforce safety measures — like wearing a helmet while riding a bike — they also understand that accidents can happen anywhere. They allow their kids to play on the playground and try new things because they know it’s good for them, even though they may get hurt once in a while. Free-range parenting isn’t about being permissive or uninvolved. Instead, it’s about allowing kids to have the freedom to experience natural consequences of their behavior — when it’s safe to do so. It’s also about ensuring kids have the skills they need to become responsible adults. There are certainly different ideas about how much freedom kids should be allowed to have. While some parents feel like times have changed and allowing kids to play outdoors unattended is a bad idea, others feel like overparenting is the real danger to a child’s development.